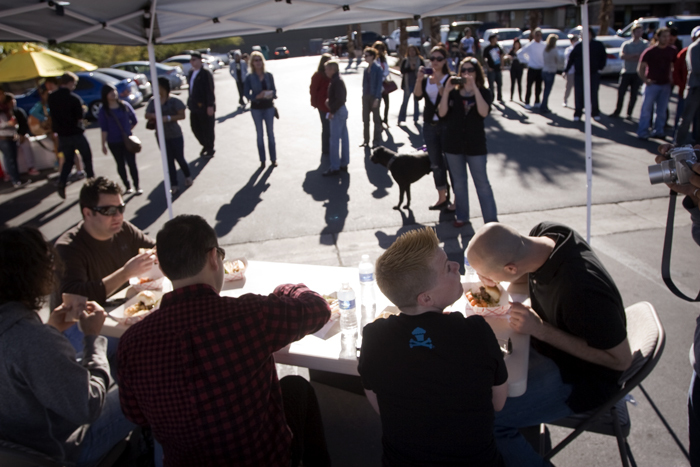 The street food scene in Vegas is pretty nascent, but growing healthily. It was nice to see a couple of street vendors duke it out in a friendly throwdown. Ric and his Slider Truck may have defeated Ron and his Hanshiktaco (by a slim three points), but when it comes to Vegas food trucks as a whole, the event was a win-win. It was great to meet Chef Jet Tila from Wazuzu (Encore). How awesome for him to be so supportive of the food truck culture. 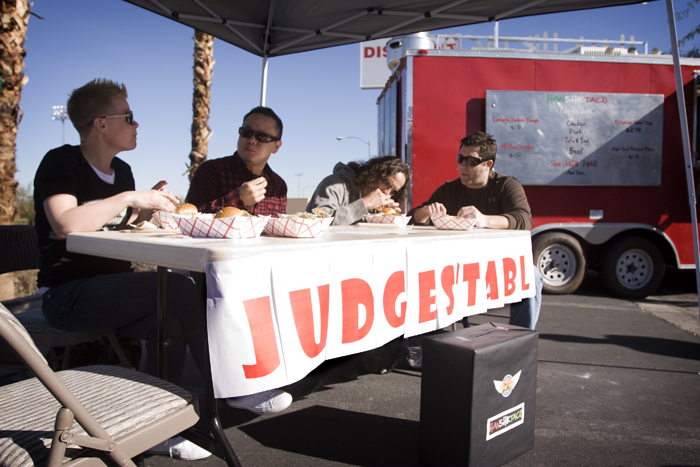 The other judges were Chef Geno Bernardo from Nove (Palms), Chef Jean Paul Labadie from Marche Bacchus, and Kari and Brian Haskell from Retro Bakery. It was also great to meet Jolene from Vegas's newest food truck - the upcoming Sloppi Jo's. Can't wait to try her food. Great coverage!!! It was night meeting you too! Looking forward to checking out the Fukuburger reverse popup.